Voters in Arizona can now read arguments for and against the marijuana legalization initiative, legalization opponents don't want to let them have a chance to vote on it, "bath salts" will be banned in Illinois, and more. Arizona Legalization Initiative Pro-Con Arguments Pamphlet is Available. The secretary of state's office has made available online the arguments for and against the legalization initiative sponsored by the Campaign to Regulate Marijuana Like Alcohol. Anyone willing to cough up the $75 fee to comment could do so. Eight people turned in arguments on the "pro" side, while 40 turned in "con" arguments. Registered voters will also receive a paper copy of the arguments in the mail before election day. Arizona Chamber of Commerce Joins Lawsuit Against Legalization Initiative. The state Chamber of Commerce and Industry has joined with the anti-legalization group Arizonans for Responsible Drug Policy in attempting to block the legalization initiative via a lawsuit. The lawsuit claims the materials used to get voters to sign petitions were fraudulent and misleading. In a hearing today, a judge gave the initiative campaign several weeks to respond. 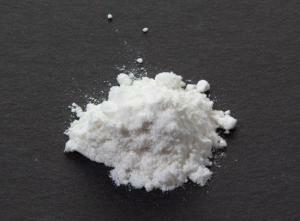 Illinois Governor Signs "Bath Salts" Ban Bill. Gov. Bruce Rauner (R) Monday signed into law Senate Bill 210, the Bath Salts Prohibition Act, to go into effect January 1. The new law makes it a class 3 felony to sell or offer for sale "any synthetic or natural material containing any quantity of a cathinone chemical structure." The law also will allow local governments to revoke the licenses of retailers who are convicted of a violation. New Zealand Treasury Documents Suggest Annual Pot Tax Revenues of $150 Million. The documents from an informal Treasury report obtained under the Official Information Act reveal that the government spends about $400 million annually enforcing prohibition and that reforming drug policies would "ease pressure on the justice sector, and lead to fewer criminal convictions for youth and Maori." Treasury estimated legalizing marijuana alone could generate annual tax revenues of $150 million. GOP legislators are busy filing retrograde drug bills across the land, from chipping away at medical marijuana in Arizona to public benefits drug testing bills in several states. 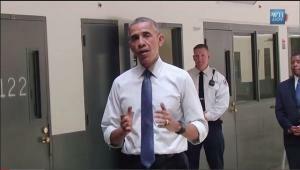 Meanwhile, a battle looms over federal sentencing reform. Missouri Legislators Face Plethora of Marijuana Bills. The legislative session has barely started, but lawmakers in Jefferson City have already filed nearly 20 bills aiming at reforming marijuana policy. The bills range from legalization and medical marijuana to barring asset forfeiture in pot cases and expunging the record of nonviolent offenses, including marijuana offenses. Click on the link to see the whole list. Arizona GOP Legislators Try to Chip Away at Medical Marijuana Access. Rep. Kelly Townsend (R-Mesa) has filed House Bill 2061, which would bar pregnant women from qualifying for the medical marijuana program, and Rep. Jay Lawrence (R-Scottsdale) has filed House Concurrent Resolution 2019, which removes homeopaths and naturopaths from the list of doctors who can issue medical marijuana recommendations. Fix in the Works for California's Medical Marijuana Local Regulation Deadline. Legislators are working to fix a provision of the medical marijuana regulation law that requires localities to pass their own rules by March 1 or face loss of regulatory control to the state. The provision has caused a stampede of cities and counties seeking to get measures in place by that date, with most of them resorting to simple bans. The Senate Finance Committee last week passed a bill to remove the date. Indiana Unemployment Benefits Drug Testing Bill Filed. State Sen. Jon Ford (R-Terre Haute) has filed Senate Bill 245, which would require people applying for unemployment benefits to undergo drug testing if they were fired for drug use or if they work in an occupation the federal Bureau of Labor has determined is one where drug testing is common. The bill had a hearing set for today. West Virginia Food Stamp Drug Testing Bill Advances. A bill that would require drug testing of food stamp recipients passed the Senate Committee on Health and Human Resources Tuesday and now heads to the Senate Finance Committee. The bill would only require testing of those for whom state officials had a "reasonable suspicion" were drug users. The measure is Senate Bill 6. Police Chiefs, Prosecutors Urge Congress to Pass Criminal Justice Reform. More than 70 top police chiefs and prosecutors organized as Law Enforcement Leaders to Reduce Crime and Incarceration today called on Congress to pass sentencing reform. They are urging support for the Sentencing Reform and Corrections Act of 2015 (Senate Bill 2123). The letter comes on the same day the Senate Judiciary Committee holds a major hearing on criminal justice reform. "Today, law enforcement leaders from across the nation join together to let our lawmakers know that reforming federal mandatory minimum sentences will help keep down crime and unnecessary incarceration. As police chiefs and prosecutors, our first priority is public safety. But we know first-hand from our experience that our country's high levels of incarceration are not making us safer," said the letter they sent out today. 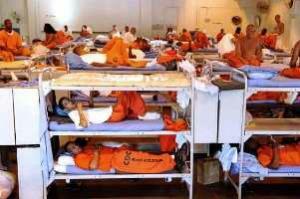 GOP Split on Mandatory Minimums Threatens Sentencing Reform Bill. Sen. Majority Leader Mitch McConnell (R-KY) is keeping mum about how he plans to proceed on the bill, which is cosponsored by several Republicans. GOP hardliners are balking, threatening passage of the measure. "I don't think it’s a healthy thing to do," said Sen. Jeff Sessions (R-AL), a fervent opponent of the justice bill. "If we lay off drug prosecutions, we're going to see even more murders and crimes, deaths and destruction. I think we need to slow down, be careful about this." The bill had appeared to be one of the few areas where bipartisan support could ensure passage, but now GOP support looks to be eroding. Indian Has a Booming Industry Manufacturing New Psychoactive Substances. Recent raids by drug police have uncovered a domestic party drug manufacturing industry cranking out drugs by the ton. Police busted more than 1,200 pounds of mephedrone in one bust, 750 pounds in another, and more than 2500 pounds of ketamine in yet another. The drug makers are behaving like legitimate drug manufacturers, finding factories, chemists, and workers, then obtaining licenses to manufacture legitimate drugs, then cranking out party drugs. Costa Rica Court Clears Activist of Marijuana Cultivation Charges. In a case that could be a step down the path to decriminalization, a court refused to convict Cerdas Salazar on drug trafficking charges for growing his own marijuana. Police contended he grew for sale, but provided no evidence of that. "Yes, marijuana cultivation is illegal; nonetheless, it is not a crime if it is not utilized for sale," the judge hearing the case, Carolina Leitón, said. Marijuana business access to banking services takes a hit from a federal judge, DC marijuana social clubs take a hit from the city council, Vermont legalization prospects get downplayed, pain patients are in the cross-hairs, and more. Federal Judge Throws Out Marijuana Credit Union Lawsuit. US District Court Judge R. Brooke Johnson today dismissed a lawsuit seeking approval from the Federal Reserve branch in Kansas City for the first credit union for pot businesses in the state. Jackson said he was compelled to dismiss the suit because marijuana remains illegal under federal law. DC City Council Approves, Then Bans Marijuana Social Clubs. In a topsy-turvy day, the council first voted 7-6 to let an emergency ban on pot social clubs expire, but moments later, two council members switched positions, and the ban was extended a a 9-4 vote. The ban remains in effect for 90 days, and activists will continue to agitate for it to be allowed to expire. 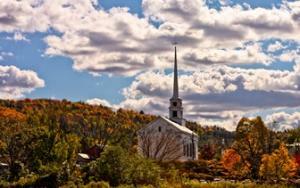 Vermont Legislative Leaders Pour Cold Water on Legalization Prospects This Year. As the legislative session opens, House Speaker Shap Smith (D) said that there are still too many unanswered questions about how legalization would work and that he doesn't think it is ready for a full debate at this time. Minority Leader Sen. Joe Benning (R) said he, too, had similar questions and that the effort was "not quite ready for prime time." Both Smith and Benning said they generally support legalization. Georgia Medical Marijuana Cultivation Bill Filed. State Rep. Allen Peake (R-Macon) has filed House Bill 722 (not yet available on the legislative website), which would allow the state to issue up to six licenses for medical marijuana growers. The legislature last year passed a bill allowing for the use of high-CBD marijuana, but included no provisions for growing it in the state. Florida Grand Jury Calls for Statewide Bans on Broad Classes of NPSs. Empaneled to confront the use of "flakka," a synthetic cathinone called alpha-PDP, a Broward County grand jury has issued a report calling for a state law that would ban entire classes of new psychoactive substances, such as synthetic cathinones, rather than limited bans on specified chemical compounds. The report calls for passage of the 2016 Florida Designer Drugs Enforcement Act proposed Monday by Attorney General Pam Bondi (R). Flakka has been linked to some 60 deaths in the state over the past four years. CDC Proposed Opiate Prescribing Guidelines for Chronic Pain Include Provisions for Drug Testing All Pain Patients -- Still Time to Comment. The Centers for Disease Control (CDC) Guideline for Prescribing Opioids for Chronic Pain includes provisions for requiring drug testing of all pain patients -- including those with cancer or terminal illnesses. Comment on the proposed guidelines here. Comments are open until January 13. Mexico City Mayor Supports Marijuana Legalization, Says Would Hurt Cartels. Mayor Miguel Angel Mancera said last week that marijuana legalization is an issue of personal freedom and that it would hurt illegal drug trafficking organizations. "My position is always in defense of freedom," he told El Universal. "I do support legalization." 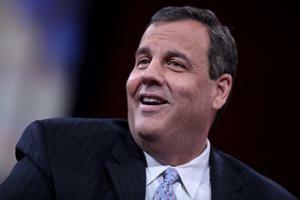 Legalizing marijuana would not be attractive for drug cartels, he added, saying "it would be a blow to them." 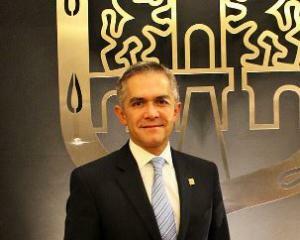 Mancera's comments come as the country prepares for a national debate on legalization later this month. This story was written in collaboration with AlterNet and first appeared here. In recent years, we've been inundated with wave after wave of media panics over strange new drugs. First came "fake weed" (or as NYPD Commissioner Bill Bratton called it last week, "weaponized marijuana"); then came "bath salts," with the infamous face-eating episode that wasn't; and most recently, "flakka," labeled as "$5 insanity" by one media outlet. These new (to the recreational drug market) substances mimic the effects of currently illegal drugs, such as marijuana, cocaine and amphetamines, or ecstasy. The states and Congress have rushed to address the drugs by prohibiting them, but that has proven to be a game of cat and mouse, with innovative chemists and manufacturers replacing banned drugs with new variants faster than politicians can act. "In recent years, lawmakers have moved to ban wave after wave of NPSs, only to see more emerge," said Grant Smith, deputy director of national affairs for the Drug Policy Alliance. "All 50 states have passed laws against synthetic cannabinoids and cathinones, and federally, there are 26 unique compounds under Schedule I. And the DEA, which has legal authority to criminalize drugs administratively, has banned more than two dozen. These laws take time, which allows manufacturers to create new compounds." Not only is the prohibitionist reflex ineffective, it arguably increases the harms associated with the use of these drugs. But to ignore them or ban them aren't the only policy choices, and some advocates are calling for these novel substances to instead be controlled and regulated. One model they point to is New Zealand, which instead of banning "legal highs," moved to regulate them in 2013. Before turning to policy options, though, it's worth a moment to figure out just exactly what we're talking about when we talk about "new synthetic drugs," and why maybe that isn't the best term to use to describe these substances. In a conference call organized by the Drug Policy Alliance, which advocates for regulation over prohibition, Earth and Fire Erowid, the administrators of the Erowid drug information web site -- "Documenting the complex relationship between humans and psychoactives" -- tried to bring some rigor to a domain where science too often gets lost in the distortions of moral panic. 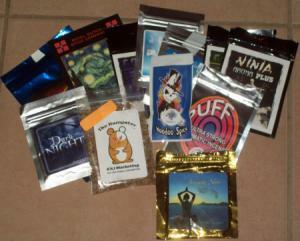 "Synthetic drugs is a term used to imply scary new street drugs," said Earth Erowid. "But nearly all pharmaceutical drugs are synthetic, whether they're cannabinoids, opioids, stimulants, or sedatives. You don't want to use the phrase 'synthetic drugs' unless you're talking about every pharmaceutical developed over the past 50 years." "A more accurate and appropriate term is "new psychoactive substances," he said. "That's the standard term in Europe." Replacement Cannabinoids. Sometimes sold as powders, sometimes sprinkled on herbal blends. These are not cannabis, but new synthetic cannabinoid receptor agonists. The specific compounds include JWH 018 and AB-PINACA, among many others. Several of these have been associated with death and serious medical complications. Replacement Euphoric Stimulants. These include cathinones like methedrone, MDPV ("bath salts"), and Alpha PDP ("flakka"), as well as compounds related to Ritalin. Replacement Psychedelics. The best known are the NBOMe series ("N-Bomb"). They are often distributed on blotters, and many people who think they're buying LSD are getting this. The NBOMe class has been linked to about 20 deaths. Replacement Dissociatives. These are PCP-like chemicals, including various ketamine variants and methoxetamine. Replacement Opioids. These include chemicals such as AH 7921 and U4770. The Drug Policy Alliance has a similar, if not quite identical, taxonomy here. The deaths and other adverse reactions that have been linked to NPSs have occurred under regimes of either prohibition or its opposite -- no regulation. "Legal highs" were just that, NPSs yet to be banned but lacking any sort of reliable labeling or quality control. Many formerly "legal highs" are now illegal, but the harm continues, and new NPSs continue to come on the market, legal until the politicians get to work. "There's a reason for that, said Earth Erowid. 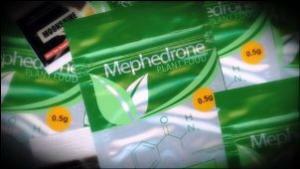 "People are looking for legal replacements for illegal drug effects," he explained. "Most people simply want a stimulant or a psychedelic, and they're willing to try anything if it's legal." "That may hold true for "fake marijuana" users than other NPS users," said Joseph Palamar, an assistant professor in the Department of Population Health at New York University's Langone Medical Center. "Synthetic marijuana users have different profiles from other NPS users," he said "They are resorting to using it as a legal replacement for marijuana as a means of avoiding arrest, especially minorities. 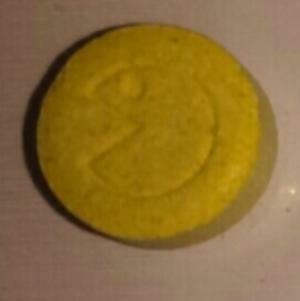 Other NPS users, especially clubbers and ravers, may be taking them unwittingly, Palamar added, pointing a finger especially at "Molly," which is supposed to be pure MDMA in powder form, but often isn't. "Molly is the biggest system of unintentional NPS use that ever came around," said Palamar. "A lot of the drug users, especially Molly users, are unknowingly taking NPSs. There are other options for dealing with NPSs beyond the extremes of prohibition on the one hand and laissez-faire on the other. In some cases, it may be politically feasible to simply legalize the currently prohibited drug they are imitating. Roger Goodman, chairman of the Washington state House Public Safety Committee and senior member of the Judiciary Committee, said that legalizing weed is a start. "By legalizing marijuana, we have no problem with synthetic marijuana," said Goodman. "No one wants to use that. We have a rational regulatory approach. Prohibition is in the past for us. Marijuana is a good first step for us. We know better than to impose prohibition and outlaw any particular substance." Legalizing marijuana more widely could put a real dent in the synthetic cannabinoids market, but there is no immediate prospect for legalizing drugs such as meth, cocaine, and the psychedelics and putting a dent in the market for other NPSs that way. That means if we're not going to prohibit them and we're not going to ignore them, we're going to have to regulate them. That's what New Zealand did with its 2013 law, which transformed unregulated "legal highs" into regulated "legal highs" sold with labels at established stores. Drug makers were required to submit their products for testing and labeling before they could be approved for legal sale. "I really look to the New Zealand law," said Goodman. "It provided for licensing and testing, and it got rid of the criminal actors. It seemed like a very rational way to go." "That model would encourage manufacturers to make safer products," DPA's Smith concurred. But, alas, the New Zealand law is no more. It was overturned and replaced with a more prohibitionist retrenchment a year later amidst complaints that drug users were getting high and hanging around the dope shops like winos in front of liquor stores. That is a lesson for legalizers (or regulators) here. Not only are progressive drug reforms difficult to enact, they also sometimes require a strong defense.